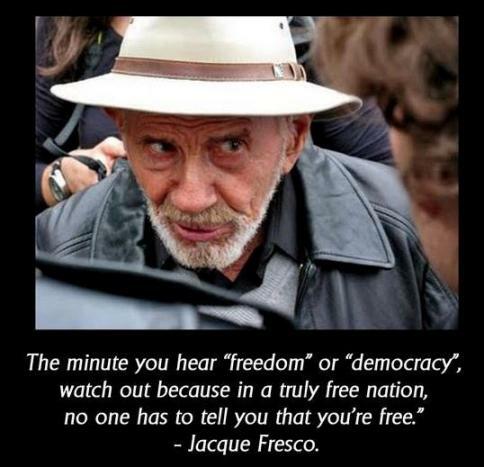 The minute you hear ‘freedom’ or ‘democracy’, watch out because in a truly free nation, no one has to tell you you’re free. I was asked once, “You’re a smart man. 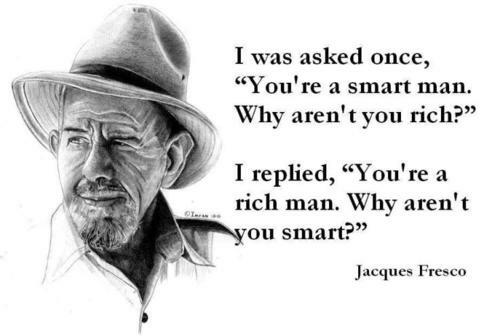 Why aren’t you rich?” I replied, “You’re a rich man. Why aren’t you smart? Today we have access to highly advanced technologies. But our social and economic system has not kept up with our technological capabilities that could easily create a world of abundance, free of servitude and debt. If we really wish to put an end to our ongoing international and social problems we must eventually declare Earth and all of its resources as the common heritage of all the world’s people. Earth is abundant with plentiful resources. Our practice of rationing resources through monetary control is no longer relevant and is counter-productive to our survival. 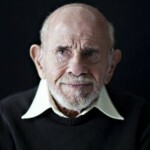 Fresco is self-taught and has worked in a variety of positions related to industrial design and the aircraft industry. Fresco writes and lectures his views on sustainable cities, energy efficiency, natural-resource management, cybernetic technology, automation, and the role of science in society. Fresco is the director of The Venus Project. Fresco advocates global implementation of a socioeconomic system which he refers to as a "resource-based economy."